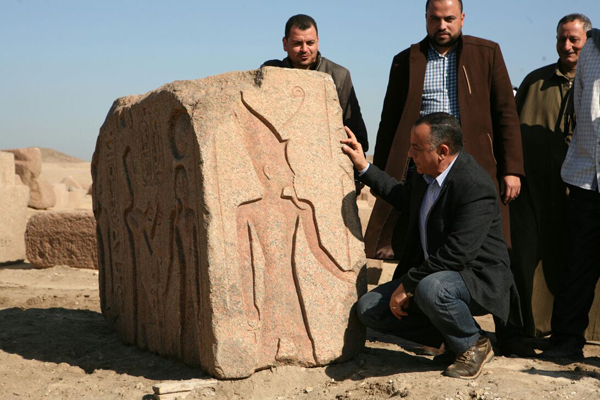 During work carried out at San Al-Hagar archaeological site in Sharqiya governorate with a view to develop the site into an open-air museum, archaeologists stumbled upon a stelae of 19th Dynasty King Ramses II. 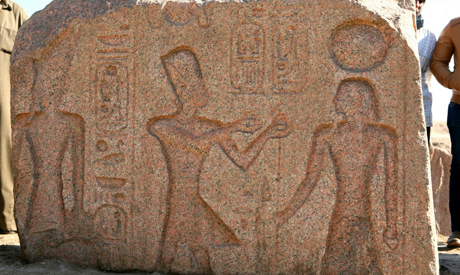 Mostafa Waziri, secretary general of the Supreme Council of Antiquities, told Ahram Online that the stelae is carved in red granite and depicts King Ramses II presenting offerings to a yet unidentified ancient Egyptian deity. He said that although several foreign missions have worked on the site, it has never been completely excavated and was neglected. 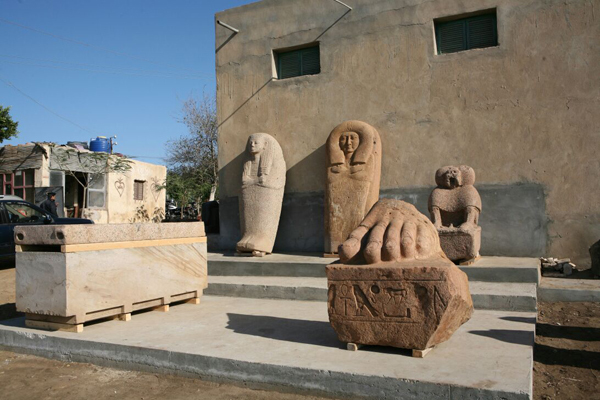 “This discovery encourages the Ministry of Antiquities to start a comprehensive development project at the site in order to rescue its monuments and transform it into an open-air museum,” Waziri added. San Al-Hagar is a very distinguished archaeological site houses a vast collection of temples, among them temples dedicated to the goddess Mut, god Horus and god Amun. Several foreign missions, among them a French mission, have worked on the site since the mid-19th century. Waadalla Abul Ela, head of the ministry's projects sector, explained that a project started a month ago aims to create a collection of concrete mastaba for the monumental blocks, statues and stelae that were laying on the floor of the temple.